It is important to maintain your air conditioning system in order to receive the full energy and comfort benefits your a/c system has to offer. In between your scheduled maintenance you can do some of the following yourself to keep your air conditioner operating at peak efficiency. Clean any dust that may gather at your return air grate. This grate is usually located in the hallway or main area of the home. This grate is easily the most important and often forgotten things to clean. The return removes the warm air from your home in cooling and the cold air in heating. When this grate becomes dirty or clogged you may end up with serious damage to your air conditioning system. Remove any leaves and debris from around your condenser unit. If the coil of your condenser unit appears dirty you may need to contact an HVAC contractor to professionally clean it. Otherwise you can use a water hose set at a medium pressure to rinse off the dirt. WARNING* do not use a pressure sprayer as this will ruin the fins of the condenser unit! Allow two feet of clearance from your condenser unit to any shrubs, trees, or bushes. 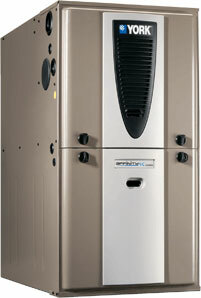 Furnaces not only heat your home they also move air throughout your home when you are cooling your home. It is important to maintain your air conditioning system and heater. By following these few tips you can ensure that your system will continue operating at peak efficiency for many years to come. Clean dust from supply and return grates.